Everything in Texas is big, and so are its railroads. If you are interested in Texas railroad jobs the state is home to more than 12,000 miles of rails owned just by Class Is Union Pacific, BNSF Railway, and Kansas City Southern. Additionally, Class IIs Texas Northeastern Railroad and Texas Pacifico Transportation make up another 1,000+ miles while dozens of Class III, shortlines operate another 1,500+ miles. Because of the state's location along the Gulf Coast, chemicals make up the majority of its freight traffic (34%) while the rest broken down amongst several different commodities such as petroleum, food, and non-metallic minerals. If you are interested in working in the railroad industry, today there are a wide variety of jobs available from train mechanics and track maintainers to positions of management such as roadmaster and road foreman (and on up the chain). However, if you are looking to enter the transportation field on a Class I system (this includes positions like engineer and conductor) please be aware that you will be working incredibly long hours with a schedule that is completely unpredictable (basically, you are called out whenever needed, any time of day). While the large railroads offer the best pay in the industry (along with excellent benefits and retirement) it really comes to down whether you feel it is all worth it. A smaller railroad, while unable to match the pay of a Class I, does offer better hours and a more predictable schedule. In any event, if you are in college it might be worth your time to visit the carer pages of the Class Isif you are looking for internship/summer work in the field of business as many offer such programs. Finally, I cannot completely guarantee that the information and web links listed below are up-to-date and accurate although they are to the best of my knowledge. Texas Northeastern Railroad: This regional railroad is owned by Genesee & Wyoming and operates two unconnected sections of track east of Sherman and west of Texarkana. For all employment opportunities please visit G&W's primary website. Texas Pacifico Transportation: This railroad operates nearly 400 miles of track in West Texas which is actually owned by the state. It carries interchanges with Class Is Union Pacific, BNSF, and Ferromex (a Kansas City Southern subsidiary). The company maintains its own website where contact information is available. Alamo Gulf Coast Railroad: This short line is owned by Martin Marietta Materials and operate a line that is just over 3 miles in length near the town of Beckman, mostly hauling aggregates and timber products. Please visit Martin Marietta's website regarding job opportunities. 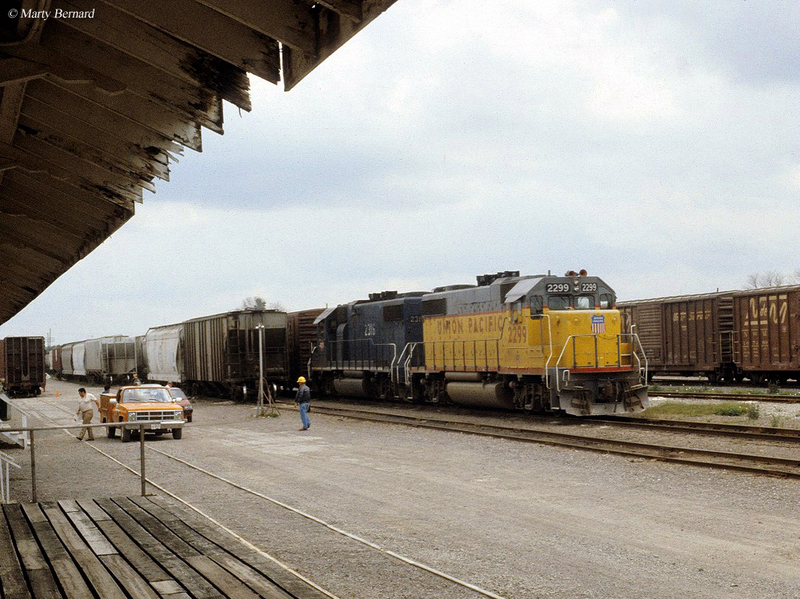 Alliance Terminal Railroad: This railroad is owned by OmniTRAX operating a seven-mile terminal system near Haslet. It interchanges traffic with BNSF. Visit the OmniTRAX website for career information. 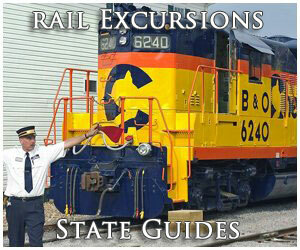 Angelina & Neches River Railroad: The historic A&NR dates back to 1900 as a logging railroad. Today, it operates close to 12 miles of railroad, as well as an additional 3+ miles of trackage rights through Union Pacific. The railroad carries a diversified traffic base, which it interchanges with UP. Please visit the A&NR website for contact information. Austin Western Railroad: The Austin Western Railroad is one of the Watco Companies' many shortlines, operating over 160 miles of track between Llano and Giddings with a small branch serving Marble Falls. Please visit Watco's website for career information with the company. Blacklands Railroad: This short line operates about 66 miles of trackage owned by the Northeast Texas Rural Transportation District, which purchased the property from Southern Pacific. Visit the company's website for contact information. Border Pacific Railroad: This short line operates between Rio Grande City and Mission (where it interchanges with Union Pacific) on a 32 mile system originally owned by Missouri Pacific. For contact information please click here. Brownsville & Rio Grande International Railroad: The B&RGI operates about 42 miles of railroad serving the Port of Brownsville. It currently has interchanges with three Class Is; UP, BNSF, and KCS de Mexico. Please visit their website for job information. Corpus Christi Terminal Railroad: This 30-mile terminal railroad is owned by Genesee & Wyoming and serves the Port of Corpus Christi interchanging with Class Is BNSF, UP, and KCS. Dallas, Garland & Northeastern Railroad: The DG&N is part of G&W's family of short lines operating more than 330 miles of unconnected track north of Dallas and handles several thousand carloads annually. Fort Worth & Western Railroad: The FWWR operates provides freight service on a 276 mile route, part of which is owned by Dallas Area Rapid Transit (DART). The successful carrier now handles more than 30,000 carloads annually. Please visit their website for job information. Galveston Railroad: This terminal railroad provides switching services for the Port of Galveston operating about 38 miles of track. The shortline is currently owned by Genesee & Wyoming. Georgetown Railroad: The original Georgetown Railroad dates back to the late 19th century although the newer companies began operations in the late 1950s over much of the original's trackage. Today the operation owns about 30 miles of track serving communities such as Kerr, Granger, Belton, and Smith. For contact information; 5300 IH-35 South, P. O. Box 529, Georgetown, Texas 78627. Hondo Railway: This small short line operates about 5 miles of track near San Antonio and has been in service since 2006. Please visit their website regarding employment. Kiamichi Railroad: The Kiamichi Railroad is another G&W shortline operating more than 260 miles of track located mostly in Arkansas and southern Oklahoma although it does have a branch line that reaches Paris. Moscow, Camden & San Augustine Railroad: The MC&SA dates back to 1898 and operates around 7 miles of track between Moscow to Camden hauling entirely timber products. It is currently owned by Georgia Pacific. For contact information; FM 62 P.O. Box 128, Camden, Texas 75934. 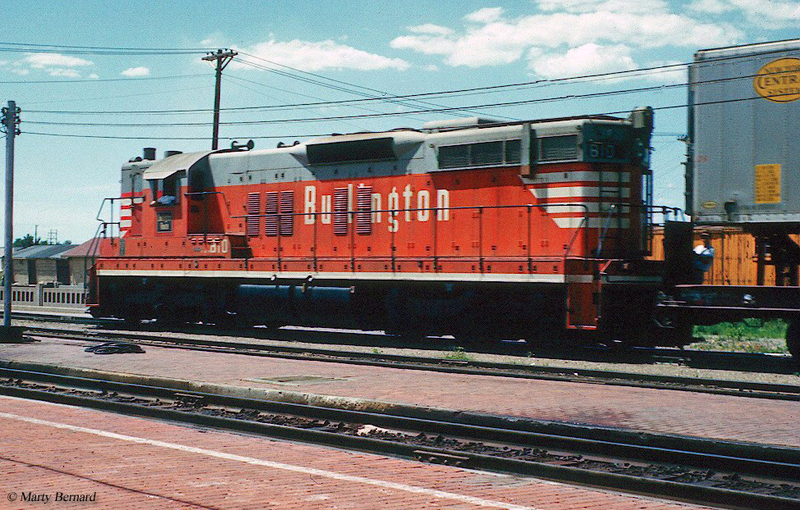 Orange Port Terminal Railway: Owned by Lone Star Locomotive Leasing, this terminal railroad operates 1.8 miles of track formerly owned by SP and began service on November 10, 1995. Visit their website for job information. Panhandle Northern Railway: This railroad is owned by OmniTRAX and operates about 31 miles of trackage originally part of the Santa Fe between Borger and Panhandle where it connects with BNSF Railway. Pecos Valley Southern Railway: This little railroad has been in continuous operation since 1910 and today owns about 23 miles of track between Saragosa and Pecos, where it has an interchange with UP. Its primary sources of traffic are aggregates and ore although its future includes the movement of traffic related to the region's booming Permian Shale Oil basin. Today, it is owned by the Watco Companies. Point Comfort & Northern Railway: Another shortline owned by G&W, the PC&N began operations in 1948 and operates terminal/switching service near Victoria along 19 miles of track. Rio Valley Switching Company: Another railroad owned by Ironhorse Resources, Inc. the short line serves Harlingen (where it has an interchange with UP), Mission, Edinburg, and Santa Rosa. Overall, the Rio Valley operates about 66 miles of track. Please visit the Ironhorse Resources website for contact information. Rockdale, Sandow & Southern Railroad: The RS&S, established in 1923 is today another G&W property operating just a short stretch of track between Sandow and Marjorie. Rusk, Palestine & Pacific Railroad: This short line is an Iowa Pacific property (since 2012) that operates over the historic Texas State Railroad (reporting mark, TSR) between between Palestine and Rusk, 30 miles. The road initiated freight service on the line during June of 2014. Visit Iowa Pacific's website regarding job opportunities with the company. Sabine River & Northern Railroad: The SR&N is owned by Temple-Inland Incorporated and operates about 40 miles of track on two lines serving Bessmay, Echo, Buna, and Evadale. The trackage was built directly by the railroad in the mid-1960s. For contact information; 5830 Old Highway 87 North, Orange, Texas 77632. South Plains Lamesa Railroad: This small short line operates around the Lubbock area providing mostly switching and terminal services. It has been in operation since 1993. Visit their website for contact information. Southern Switching Company: This terminal railroad is another Ironhorse Resources property operating just over 8 miles of track and serving the Abilene area, where it has a connection with UP. Texas Central Business Lines: This 5-mile terminal serves the industries of the Midlothian area and connects with both UP and BNSF. For contact information; P. O. Box 665, Waxahachie, Texas 75168. Texas, Gonzales & Northern Railway: The TG&N operates between Harwood and Gonzales on a system that is just over 12 miles in length operating on former SP trackage. To contact the short line; 1045 County Road 284, Harwood, Texas 78632. Texas-New Mexico Railroad: The Texas-New Mexico Railroad is owned by Iowa Pacific Holdings operating a 104-mile system serving the oil fields between Monahans, Texas and Lovington, New Mexico. Texas & Northern Railway: The T&N is owned by Transtar operating close to 8 miles of railroad near Lone Star. It currently interchanges with KCS west of Hughes Springs. Visit Transtar's website for job information. Texas North Western Railway: This shortline dates back to 1982 when it took over trackage originally owned by the Chicago, Rock Island & Pacific (Rock Island) between Etter and Morse Junction, Texas as well as Stinnett, Texas and Hardesty, Oklahoma. For contact information; 6647 Road G, Sunray, Texas 79086. Texas Rock Crusher Railway: This short line is a division of the TNW Corporation and serves the Brownwood area over 5.65 miles of former Santa Fe industrial trackage. It began operations in 1998 and also serves the nearby Vulcan limestone quarry. Timber Rock Railroad: The Timber Rock is a Watco subsidiary and has been in service since 1998. 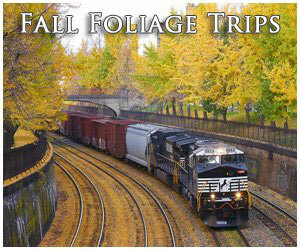 It operates 160 miles of trackage between Silsbee and Tenaha with a branch to Deridder, Louisiana. Texas South-Eastern Railroad: This operation, a division of RJ Corman first began service in 1900, a division of the Southern Pine Lumber Company, hauling logs and related forest products. It eventually grew into a 78-mile system reaching such locations as Diboll, Everett, Blix, Lufkin, Vair, and Neches. 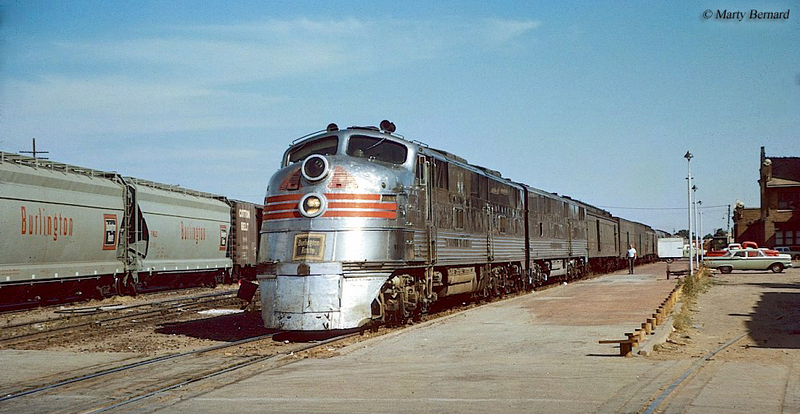 Wichita, Tillman & Jackson Railway: The WT&J is currently owned by the Rio Grande Pacific Corporation, running on disconnected trackage in Texas and Oklahoma once owned by the Rock Island and Union Pacific. It has been in service since 1991.